Adam Lambert is an American singer who started performing when he was just nine years old but he wasn’t really known until he took part in the eighth season of the American Idol. He came in second place that year and was immediately thrust into the mainstream music industry. He has sold over three million albums and five million singles worldwide, since 2009. Adam Mitchel Lambert was born on 29 January in 1982 to Eber and Leila Lambert in Indianapolis, Indiana. After he was born, his family moved to San Diego, California. He is of Norwegian and Jewish origin. His father is half-Norwegian and his mother is Jewish, with roots in Romania; he was raised Jewish. His mother is a dental hygienist and his father is a program manager for Novatel Wireless. Adam has a younger brother, Neil Lambert. When Adam was nine years old, he began performing with the MET2 (Metropolitan Educational Theatre). With a powerful voice and an interest in acting, Adam began an intense acting and vocal program at MET2. Eventually, he went to Mesa Verde Middle School and Mount Carmel High School. His interest led him to join the theatre team and choir. He was one of the members of the school’s jazz band and competed in the local Air Bands competitions. He appeared in local professional productions such as Hello, Camelot, The Music Man, Chess and Peter Pan. In 2000, after graduating high school, he attended California State University, Fullerton but dropped out after five weeks and moved to Los Angeles to pursue his passion. Lambert started his career in LA doing odd jobs and at the same time, he was studying Theatre. He landed his first professional job performing on a cruise ship for ten months with Anita Mann Productions. He then moved to opera in Orange County, California. By the time he was 21, he was already signed with a manager and was cast in a European tour of Hair. After that, he dabbled in a couple more musicals and during that time, he worked as a demo singer and session musician. In 2009, Lambert truly stepped into the spotlight when he auditioned for the American Idol. His vocal range, jet-black hair, and heavy mascara saw him being compared to glam rockers like Freddie Mercury and Gene Simmons. Lambert was known for his theatrics while performing. He was announced as the runner-up at the end of the season. He began the American Idols LIVE! Tour 2009 in July and went on to win two awards; the Young Hollywood Award for Artist of the Year and the Teen Choice Award for Male Reality/Variety Star. Adam Lambert’s career has since continued to blossom. In May 2012, he released his second album, Trespassing, which became number 1 on the Billboard 200. Also in early 2012, Lambert began performing with the band, Queen as part of a tour to honor the late Freddie Mercury and to raise money for organizations dedicated to AIDS awareness. With a fledgling career and over 3 million albums and 5 million singles sold worldwide, Adam Lambert has a net worth of $20 million. Lambert is also heavily involved in philanthropy; in January 2011, he was the driving force behind a campaign to raise $29,000 for charity in a bid to help people receive clean water. By May 2012, he had raised $82,000 which has funded 55 projects aimed at providing clean water for 16,190 people. Adam Lambert has been out about being gay ever since he was 18. He claims that his family is supportive. There were claims that Lambert hid his sexuality while taking part in the American Idol until a picture of him kissing another man surfaced. He admitted it was him and that he had nothing to hide. The media was all over that, wondering if the American Idol was truly ready for an openly gay winner. He confirmed his sexuality in a Rolling Stone cover interview shortly thereafter. When asked why he never mentioned anything about being gay during the competition he simply said it was because it just never came up. 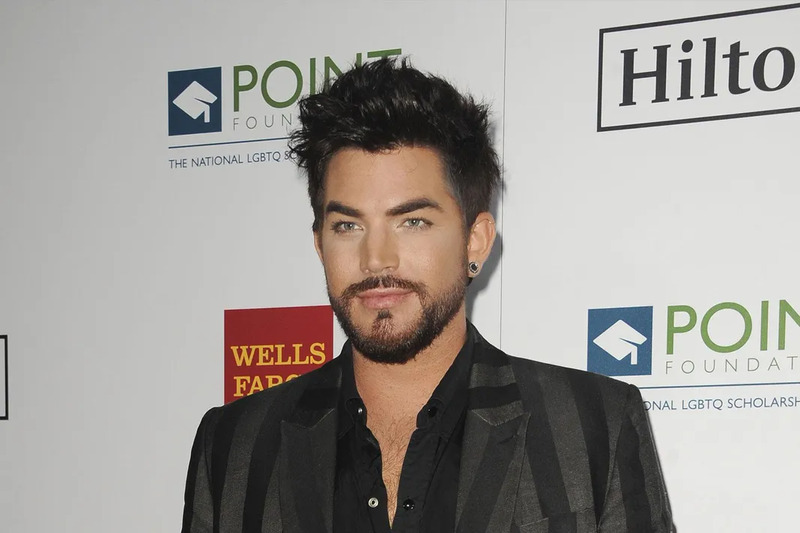 Lambert admits that his sexuality has caused controversy and has affected his career but he stands by his sexual orientation stating that he can’t please everyone. The success of his sophomore effort, Trespassing made him the first openly gay artist to top the album charts. Adam Lambert is into casual dating due to his busy schedule from touring which avails him little time for a serious relationship. However, in the past, he dated Sauli Koskinen, a Finnish television host, and entertainment reporter whom he met in a concert in Finland. Ther relationship lasted for three years from 2010 to 2013 when they broke up following an arrest after a physical altercation at a gay bar in Helsinki, Finland. They remain good friends despite their split. Firstly, Adam Lambert is gay so he has no intentions, whatsoever of getting a wife. He has revealed in the past, back when he was with Sauli Koskinen that marriage is not in the picture for him at the moment.